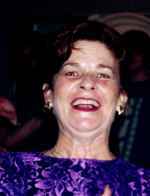 Etta Mae Johnson, 75, of Center Hill, Florida passed away Saturday, February 2, 2019 in Center Hill, Florida. She was born in Henderson, North Carolina to Baxter and Maggie Atkinson. Etta was a member of the Christian Worship Center in Center Hill, FL. She was a CNA, welder, nail technician, convenience store clerk and a loving mother, grandmother, great-grandmother and sister. Etta is survived by her sons: Gilbert Thomas Johnson of Ormond Beach, FL; David Matthew Johnson (Amanda) of Webster, FL; Johnny Russ Johnson of Center Hill, FL; 5 grandchildren; 4 great-grandchildren; sister: Linda Morgan (Sydney) of Lake Worth, FL. In lieu of flowers please consider a donation to the America Cancer Society, 13940 N US Hwy 441, Building 200, Suite #205, The Villages, FL 32159, or the Lane Purcell Hospice House, 2452 CR 526, Sumterville, FL 33585. Arrangements entrusted to Purcell Funeral Home, Bushnell, Florida. To send flowers to the family of Etta Mae Johnson, please visit our Heartfelt Sympathies Store.